What time is it? Fresh Thyme!! 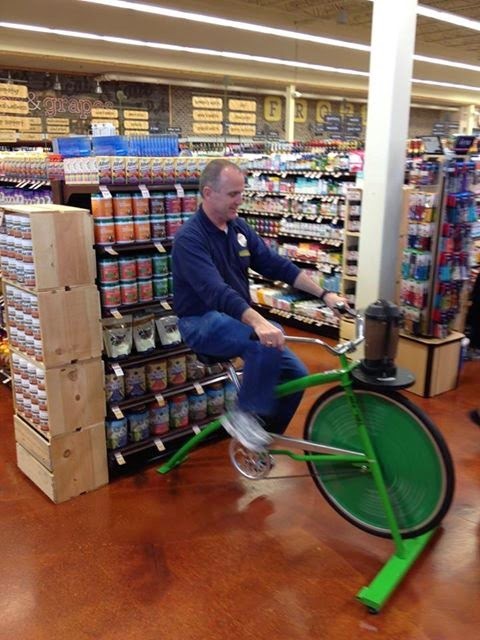 Have you checked out their new location in Mount Prospect yet? Click here for ChiIL Mama's prior feature about the grand opening and store details. We're also thrilled to announce ChiIL Mama's $50 Fresh Thyme gift card winner out of 245 entries: Sarah P. Big congrats! Here at ChiIL Mama we LOVE spicy names... I have an 11 year old named Sage, you know. Whether you're named Rosemary, Basil, or plain old Moe, Fresh Thyme will put some spice into your meal routines. 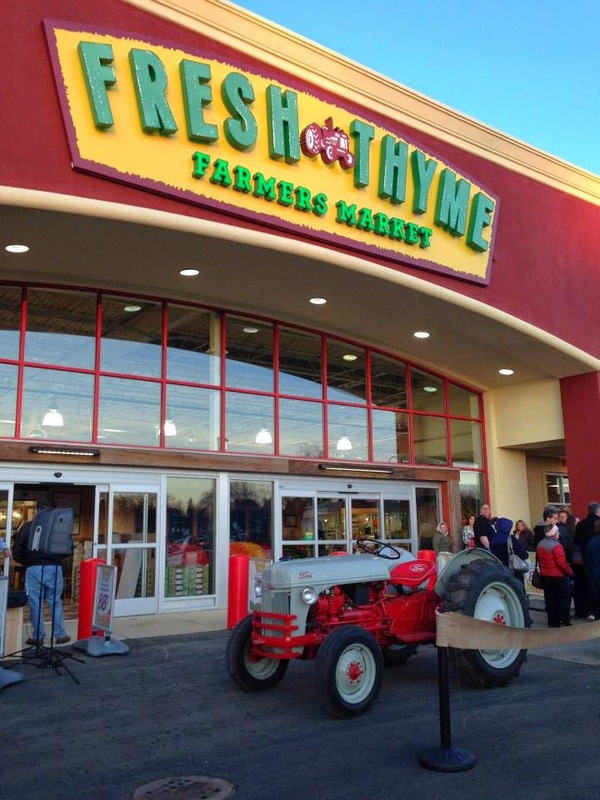 They have more excitement in store, with LOTS more Fresh Thyme market to open this year! Up next... DEERFIELD! 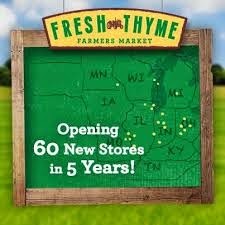 Fresh Thyme will offer a NEW shopping experience to the Midwest, starting with the first store in Mount Prospect, Ill., opening April 23, 2014, followed by 59 additional stores by 2019. Every Wednesday the previous week's ad and the current week's ad overlap for DOUBLE the AMOUNT of AMAZING DEALS throughout the store! **The numbers are in! We raised over $580 in donations from the Boar's Head hot dog cart during our grand opening week. Proceeds will go to the Mount Prospect Parks Foundation to plant trees. We give so our communities can grow! 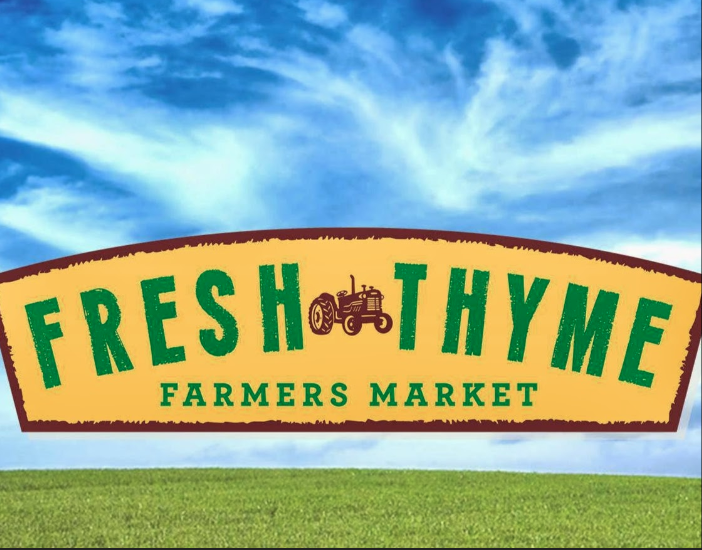 As part of their commitment to the community, Fresh Thyme will make a financial donation to three different local charities. 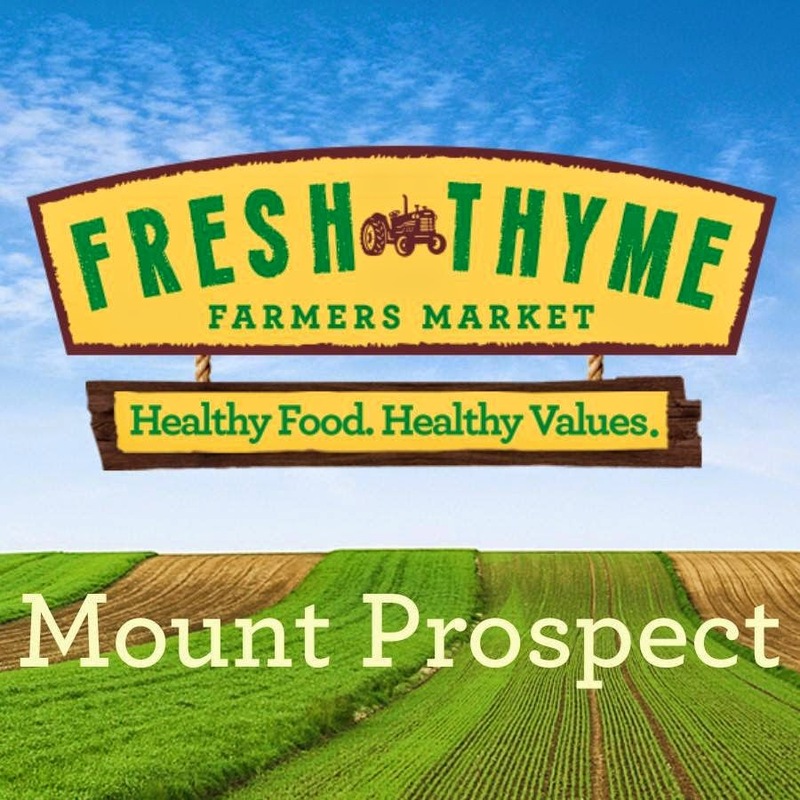 These charities have shown continual support to the Mount Prospect community, and Fresh Thyme would like to recognize and applaud their efforts and plan to be part of their continued good works in Mt. Prospect and the surrounding area. The local charities include: CEDA Northwest, Mount Prospect Lions Club and the Mount Prospect Parks Foundation. For more information, please visit freshthyme.com. 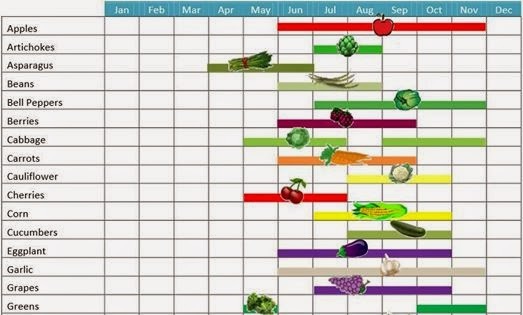 What's in season right now in Illinois? 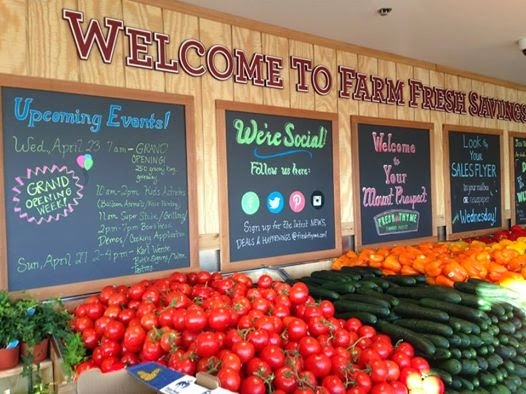 Fresh Thyme Farmers Market is a new full-service specialty retailer focusing on fresh, healthy, natural and organic offerings, all at amazing values. 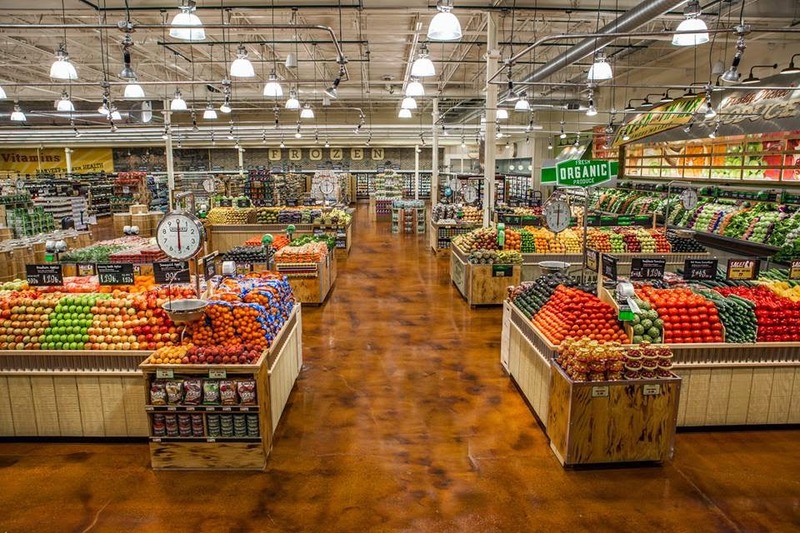 The stores’ signature offering is an extensive produce department with organic and local fruits and vegetables. 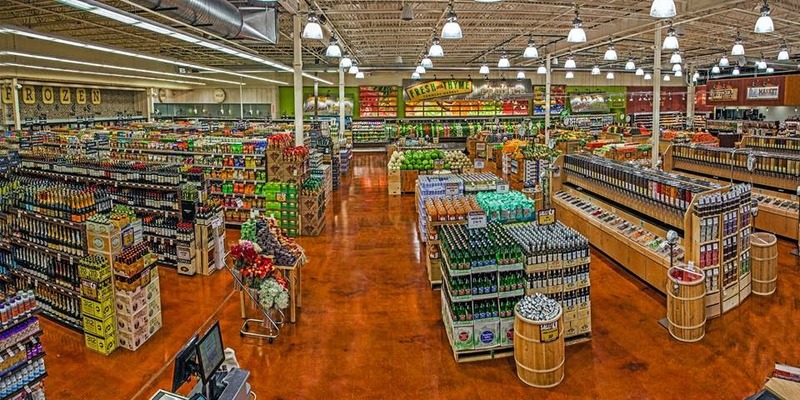 In addition, Fresh Thyme’s full-service offerings include a natural meat department, healthy deli foods to go, bakery goods, 400 bulk food bins, natural and organic groceries, dairy and frozen, as well as vitamins and body care products. 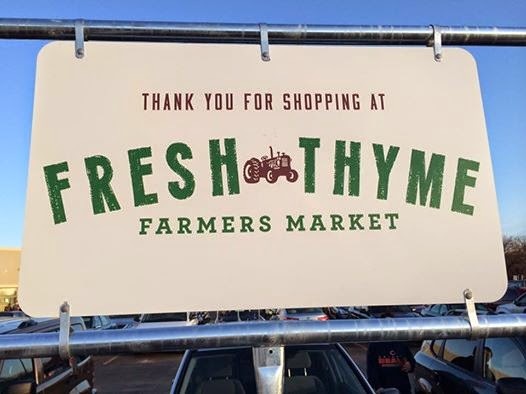 You can learn more by visiting freshthyme.com, and be sure to keep in touch by liking them on Facebook and following them on Twitter. Note: Comments left on our blog about Fresh Thyme can be used on Fresh Thyme promotional materials.